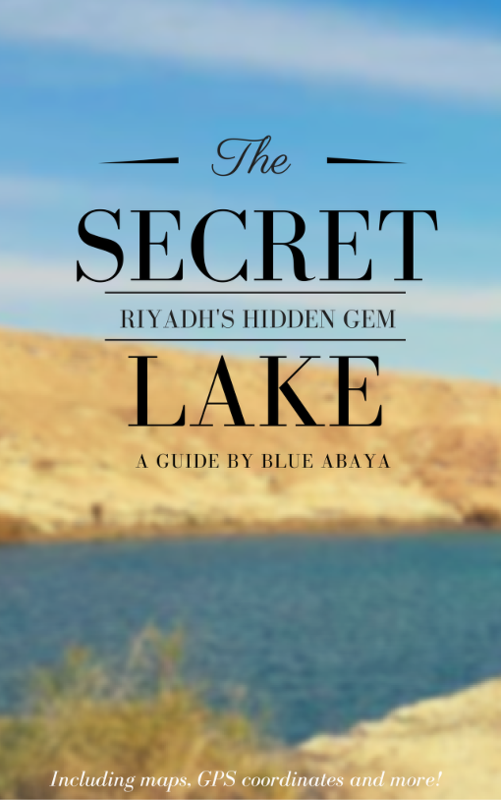 I have some very exciting news, I’ve finally finished my first ever e-book, a guide to the Secret Lake! 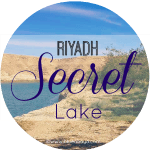 The Secret Lake is a seasonal lake in the middle of steep desert valleys just outside Riyadh. It’s the perfect picnic spot and because of its secluded location, the lake area has remained clean and thankfully crowds have not found this serene place. To protect the Secret Lake nature from being ruined by the masses I haven’t been comfortable about publishing its exact location publicly since I first wrote about it in 2012. The solution to being able to share with readers how to get there but not post the location publicly and risk ruining it for everyone was to write a guide-book about it. 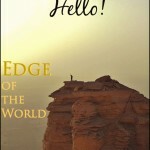 The guide contains up to date detailed instructions, maps and GPS coordinates of the location. UPDATE 2018: it appears that someone has has burned down the forest at Secret Lake, we found the trees and bushes all completely burned and gasoline bottles were scattered around. There’s also been an influx of visitors to the lake who have left behind their garbage and the current state of this lake is sadly no longer as it was before. I can no longer recommend to go there and have removed the Secret Lake ebook off the site. I’m so excited about this project and extremely happy with the outcome of the book. It was a much longer and more complicated process to set everything up than I had anticipated. Since this was the first time, for me to write an ebook and publish it, and set up a way for people to download it, everything needed to be done from scratch. I hired someone to help me with the technical stuff because I wanted everything to go perfectly. I had finished the cover design and the writing part of the book during my winter holiday in Finland, which I had based on three previous visits to the Secret Lake. 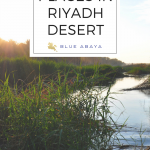 However once we got back to Riyadh I thought to myself, I must give the lake one more visit before I publish the book, just in case something had drastically changed on the route or any other details that might have been left out. So the very next day after we returned to Riyadh we headed out to the Secret Lake. And boy was I happy that we did! I ended up rewriting almost the entire eBook according to what I saw. I noticed a lot of changes on the route to the lake, which have all been documented in detail in the guide. There’s a huge restoration and landscaping project ongoing in the Historical Diriyah and Wadi Hanifa area which is also extending toward the direction of the lake. So that had some effect on the route and then we noticed some more changes to the last, most difficult part of the road. We actually had to get out of the car to move rocks and pieces of tarmac around to pass some parts, but we managed to get to the lake in just under 25 minutes from Diplomatic Quarter. And what a sight for sore eyes this lake is! It just gets more and more beautiful year after year because the lake reeds and greenery has expanded and grown. 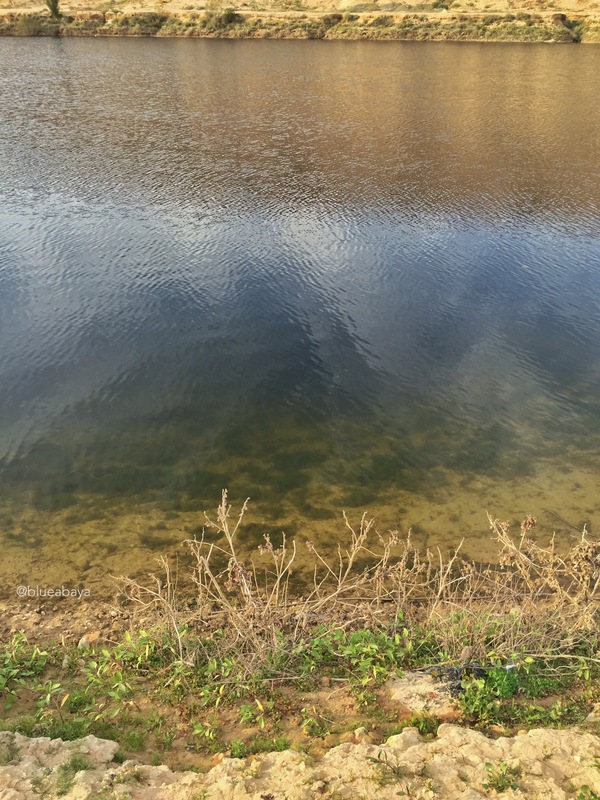 The lake on January 24th 2016 was full of clear water, in the deepest parts it’s probably 3-5 m depth. Hard to say exactly how many metres deep it is but we could see all the way to the bottom when the kids were throwing rocks, it takes some while to reach the bottom. The lake will stay full of water for another couple of months because it’s been a very chilly winter and the water has not had a chance to start evaporating. We went to the lake on a Friday and found the entire lake area void of visitors, which is of course great. It’s definitely still a well-kept secret location. 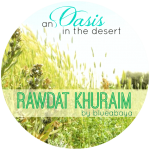 I have never been comfortable publishing the GPS coordinates online because my blog has a large audience and reach, so it might be that had I done so years ago, this place would now be in a similar sad state of Lake Kharrarah, another seasonal lake outside Riyadh. Also things published online tend to be more easily shared and copied/republished without permission, so to prevent that from happening I created the eBook guide. The Secret Lake was much larger than I had remembered, it’s probably about 800m in total length. Walking around the entire lake would likely take an hour or so. We found a small “beach” on the banks of the lake, a soft sand ledge perfect for a picnic or small campfire even. After our January visit to the lake, I decided to rewrite the ebook so it would be as up to date as possible, so that’s another reason it has taken this long to get things ready. I took photos of signs on the roads and the path to illustrate the way more clearly in the instructions part. I’ve also made some maps to try show in best possible way how to find the lake. 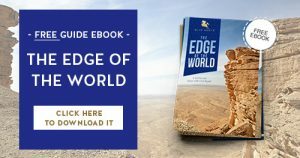 This was such a positive experience creating this ebook that I’m really excited to write more guide books now! Especially to places and areas that I would not be so comfortable to post publicly about. It’s just too much of a risk because unspoiled spots are rare nowadays. Unfortunately not everyone who finds these posts online is a responsible, environmentally conscious person. Hi Nancy, thanks for the feedback. Regarding the camping at the lake, I think you could do it as long as you take all the necessary equipment with you and let someone know where you’re going to be camping at, so the normal precautions that would need to be taken anyway. 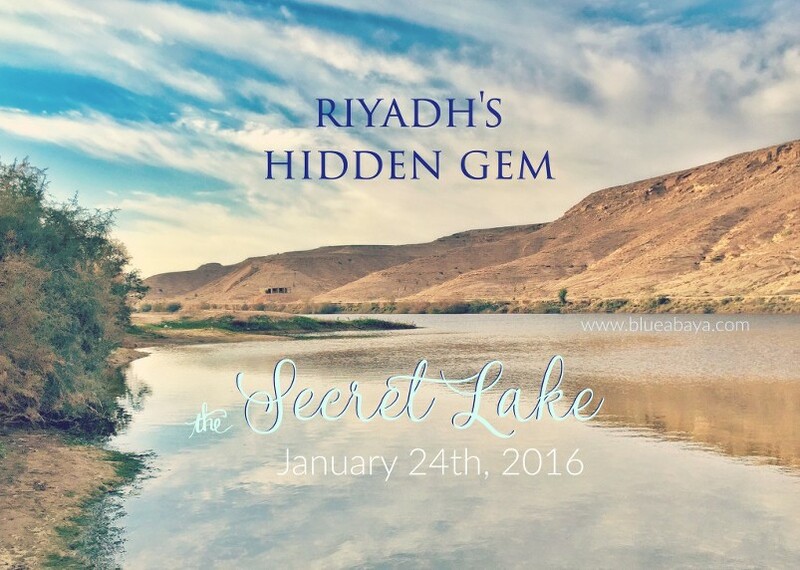 When I first read about this “hidden gem” I remember telling my husband ” a large body of water in Riyadh,we have to go and see it! !” After inquiring and learning about the ebook I thought hmmm do we really have to purchase an ebook to find this lake? After receiving the ebook we realized that it is impossible to get to this lake without the directions that are carefully detailed in this handy ebook, simple gps co ordinates would not suffice in finding this location!!! In following the directions to the T we came to a point about 1.5km from the secret lake, at this point we could not drive any further as the road was flooded by the recent rains and it was impossible to drive through it, we parked our cars,took whatever we could manage to carry and decided to brave the walk. We had no access to a pathway and had to climb up an embankment and walk along a path to get to the other side, the climb up was a bit tricky as there were many loose rocks but once we got to the other side, it was an easy walk along a flowing river.The sound of the water trickling with birds chirping in the background was music to our ears…. 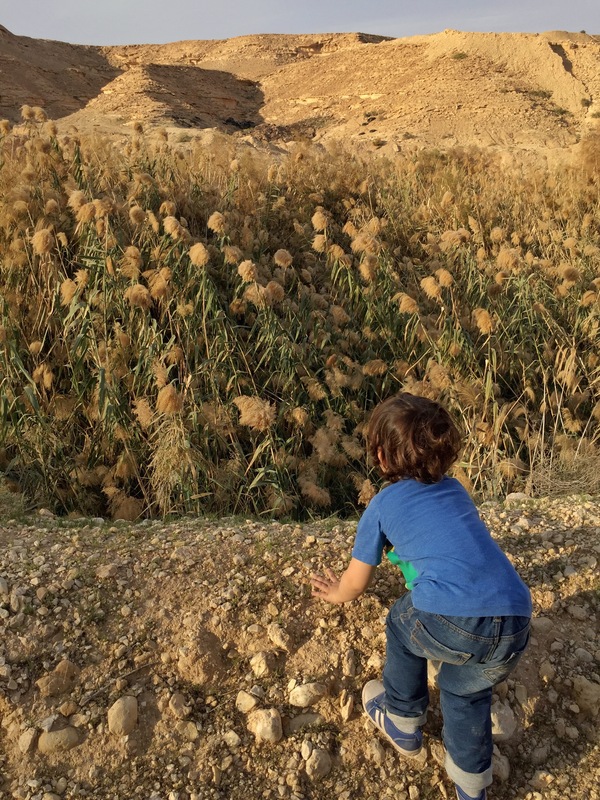 The children’s eyes lit up when they saw the flowing streams and immediately ran to play in the water.We decided to picnic and barbecue about 800 meters away from the lake…. An area which is normally a road to the lake itself,but now a pathway of a flowing river and shaded by trees. The lake is filled with a lot of water, beautiful reeds, birdlife, it’s so quiet and peaceful….. And it’s clean!!!! I would definitely recommend a visit to the Secret Lake, if you have little kids now would be a good time as they can play in the streams, the lake is deep so on any other day without the flowing river and streams they’d not be able to play in the water, I would recommend that you go in a group, it is a bit isolated so for your comfort it’s better to go In a bigger group. Ladies can remove their abayas and soak up some vitamin D.
Please clean up, and be sure to leave the lake as you found it!!! If you decide to go during this week please do not attempt to drive through the water as we witnessed a car trying to do this and ended with their car flooding and they ended up on the roof! Hi, just wanted you to know that although it did take me longer than I imagined to get my husband to agree to get up at 6.30 on Friday and head to the Secret Lake, we finally made it this past Friday!! THANKYOU so much for the clear details and directions in the book along with the wonderful photographs. The roads were flooded, due to the heavy rains during the week but we met an incredibly kind and helpful Yemani man who managed one of the farms, he waded through the water in front of the car and directed my husband as far along the “road” as possible before we had to leave the car. He then proceeded to lead us through a farm, over a wall and down an embankment to the lake and insisted we go for chai also! We loved every minute of our time there and apart from our kind guide we did not see one other human while there, which was just perfect. We spent hours just walking, sitting, talking,listening to the birds and looking for fossils so thank you so much for both the book and teaching us about the location of the lake.